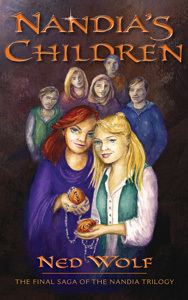 The Therapeutae Press publishes The Nandia Trilogy: Nandia’s Copper, Nandia’s Apparition and Nandia’s Children, by author Ned Wolf. 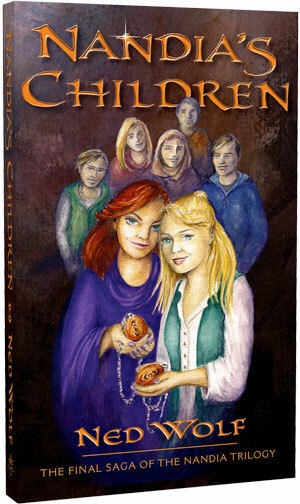 Also published by Therapeutae Press: Miss Chinn’s Extraordinary School for Death Mentors (A sequel to The Nandia Trilogy), Awaken Your Power to Heal, and Sailing on a Banshee Wind. THROUGHOUT THE AGES, many of the living have been deeply troubled by death. We have been taught to fear dying. Our mythologies and superstitions portray the supposed end of life as fearsome, capricious and monstrous. And yet…it has been said by sages that death is the last great enemy to be overcome. Throughout the ages, there have walked among us those who willingly have extended their lifetimes. They have remained beyond their allotted span within the web of human incarnations in order to be of assistance to those troubled when passing into the great beyond. And throughout the ages, there have been institutions to help educate those of us who wish to guide the dying through the process of going home gently, lovingly and playfully. Miss Chinn’s Extraordinary School is such a place. 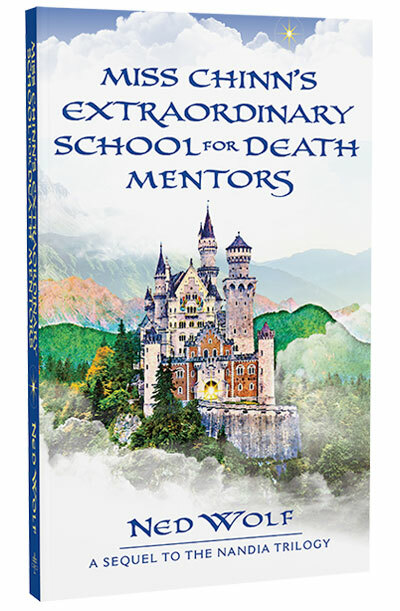 These are the tales of a beloved veteran death mentor who, in his final days of service is assigned to provide a guidebook for initiates wishing to enter their apprenticeships. THERE WAS A TIME in humankind’s future when the species populated planets within many galaxies. Some societies had evolved to the point where a few individuals were capable of telepathy, teleportation and effective healing. On these planets, the nurturing of individual talents and abilities was given the highest priority. These were societies where effective healing was commonplace — where the human lifespan usually exceeded three centuries. And yet, most planets had not evolved in this manner. In these societies warfare was the religion. Much of their propaganda was devoted to idealizing war. Addiction rates were at epidemic level — mental, emotional and physical epidemics a way of life. Environmental degradation was the norm, species extinction rates were high. Education had devolved into preaching superstition and greed. Economies were based on competition, not cooperation. The divide between the haves and the have nots was extreme. Most of the civilizations on these planets self-destructed. It was the purpose of the Galactic Grand Council to locate and train competent individuals to serve as delegates to these troubled planets. Their mission? To intervene during the vulnerable years when a society was most likely to self-destruct. The Council had neither military might, nor could impose economic sanctions. What it did have was a small cadre of dedicated delegates. Some of these unusual people died during their missions. A few of them were able to inspire civilizations to trust in the power of the individual and embrace life-sustaining lifestyles. The Nandia Trilogy recounts the intriguing adventures of an extraordinary team of these Council delegates. … As we grow in our openness to energy and healing, we naturally rediscover that everywhere life is beautiful. If anything, beauty is consistent. Deep within every expression exists that spark of All That Is that inspires us deeply. And all too often we despair at what we believe is the permanent loss of our ability to perceive inspiration. Yet all of us truly want to expand beauty in this world, and be creative. We seek to grow and heal! Set in the distant future, “Nandia’s Copper” is the tale of several Galactic Council delegates who have been sent to remedy a deadly epidemic that gnaws at the heart of the city of Geasa. To overcome this crisis, these delegates employ alternative healing, dreamtime journeys and telepathy amidst a backdrop of social unrest and religious persecution. Once again, Nandia and Bernard find themselves in a mission beset with uncertainty and danger. 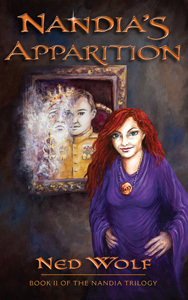 King Sabre of planet Aesir is haunted by the ghost of his father and becomes unhinged. Merchant starships are being plucked out of the sky by privateers. Is this the beginning of a coup d’état? 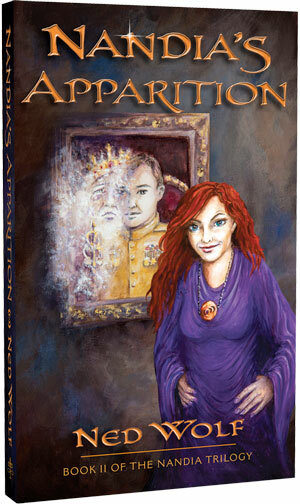 With the help of an immortal chambermaid and a teleporting cat, Berns and Nandia must unravel this mess before King Sabre, and the planet Aesir itself, self-destruct. 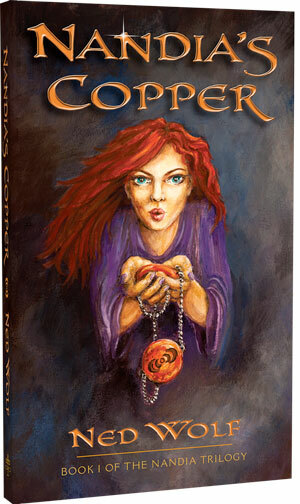 In this, the final saga of The Nandia Trilogy, Nandia has become a hunted villainess on the planet Praesepe. Erylian beseigers are kidnapping young Praesepians and shielding telepathic messages. Can Bearns, Elli and Dunstan arrive in time to thwart the end to Nandia’s home planet. For more reviews or to create your own, please check out our Reviews page. 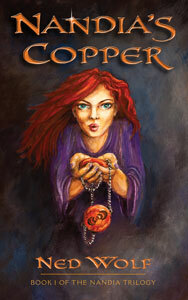 The book, Nandia’s Copper, helped open my mind enough to help me overcome some of the narrowness of my thinking and as I continue thinking and reflecting on the story I’m able to see further. It took me a long way in a very short time. I look forward to reading the rest of the Trilogy. —Lee P.
Fun and adventure filled story! Thank you for your thought provoking articles — that I look forward to receiving in my email. Also, I wish to express my gratitude to you for gifting me with Book one of the Nandia Series. I so enjoyed reading Book I which definitely was a page turner. 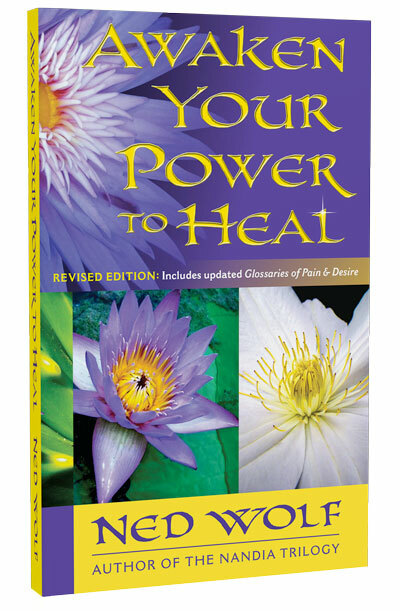 It is a book, rich in wisdom with a wealth of wonderful tips that I really appreciated as an amateur dowser for a number of years now, who also is aspiring to increase my intuitive and self-healing skills as well as a bit of telepathic capability. The teleporting may have to wait till my next incarnation, but in the mean time, I never cease to be amazed at all the little synchronicities in my days and encounters, including being led to your website (simply out of curiosity) even though I missed attending your presentation at the San Jose Dowsers meeting. I particularly love all the beautiful examples of how to approach problems with a loving, open & creative mind to effect a win-win for all concerned; and how to peacefully & very skillfully enter into a relationship with others with compassion & respect, to facilitate trust and willingness to open up to the love & assistance being offered. I am also quite pleased that my husband took an interest this week in reading the first book after I completed it. And now I’m off on the journey of experiencing more adventure and wisdom in Book II of this very special series of books you have authored, with Book III waiting in the wings to be read & experienced as well in good time. They may look small in size, but they are mighty in substance! HOW WELCOME they are — as tools for living on this ‘wild and wooly’ planet. I might add that now that I’ve finished Nandia’s Copper & am currently engrossed in the 2nd book of this series, I’ve noticed that both my husband and I, are taking advantage of more frequent free moments in our days, to read another chapter or two. I find these books very uplifting and lightening to my spirit – which is so welcome in a world where our news media & so many movies produced, seem to focus so heavily on promoting fear, more polarity, more cynicism, which can so easily drain one’s energy instead of uplifting one’s spirit.